What is Reiki Share? 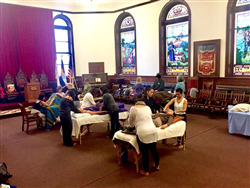 Reiki share is a gathering of fellow friends and community to share the healing, reiki energy with each other and an opportunity to receive nurturing TLC. You don’t have to know Reiki to join.